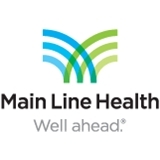 MLHC Internal Medicine in Wynnewood (Wynnewood) - Book Appointment Online! Dr. Obeid is friendly and has a wonderful easy way about her that made me feel immediately at ease. She is also thorough and experienced and the staff friendly. Dr. Rosen and the office staff and nurses are compassionate, efficient and excellent care givers. I'd highly recommend them.